On my 16th birthday, some 17 years ago, I got my braces off and shortly after that, I had my wisdom teeth pulled out. It was around that time I had made a big commitment to take very good care of my teeth. I mean, after spending two and a half years making them straight and a horrible week recovery after getting my wisdom teeth out, who wouldn't want to keep their teeth nice? I like to think that I am passing these good behaviors on to my kids, so I constantly make sure they have brushed their teeth in the morning after breakfast and again before bedtime. And where I am not the greatest at brushing before bed, I will at least rinse my mouth out with LISTERINE before going to bed each night. 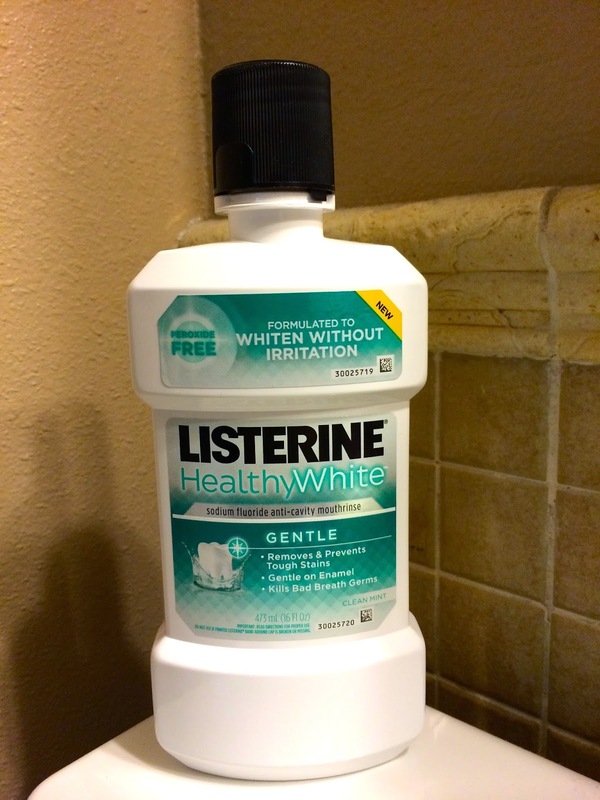 What I like most about LISTERINE HealthyWhite mouth wash is that it's formulated to whiten without irritation, it also removes and helps prevent tough stains, which are great qualities for me in a mouth wash since I have sensitive teeth and drink waaaaaay too much coffee. It's also a quick fix during the afternoon because it helps kill bad breath germs! 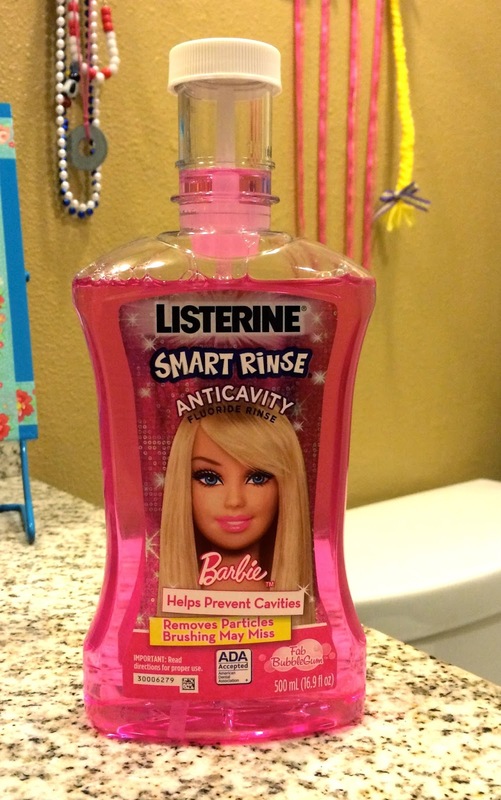 Lucy loves using the Barbie LISTERINE and I like that it has a squeeze cup built into the bottle so she gets the exact amount she should have each night to rinse her mouth with. And Matt is a big fan of the LISTERINE ULTRACLEAN® ACCESS® Flosser because its super convenient for him to carry in his work backpack! Oh and those LISTERINE POCKETPACKS! I remember using those as a teenager! They fit discreetly in your pocket and not only freshens your breath but kills 99% of the germs that cause bad breath! When I was a kid growing up, "Halitosis" was the "Big" word at school........"He's got Halitosis!!! "......Everyone thought U sat in the front of the room when U used that word!! !